These clever cartoons, with introductions from Richard DuFour and Rebecca DuFour, give a lighthearted perspective on professional learning community topics. This collection of clever cartoons shows the humorous side of working in a professional learning community. The book also features a foreword and introductory text for each chapter by Richard DuFour and Rebecca DuFour, who remind readers to keep a sense of humor along the journey to becoming a PLC. 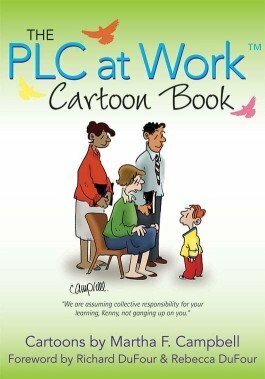 Take a lighthearted look at the inner workings of PLCs. Energize your team meetings with humor.